MOTIVATED SELLER WILL CONSIDER ALL REASONABLE OFFERS. The stately charm of this 1880's meticulously maintained Pennsylvania homestead is grounded history. Wake to countryside quietude, breathe in the fresh air. This historic property sits up on Valley Forge Mountain on 6 pristine and sub-dividable acres. The grounds also embrace manicured gardens and a 4 stall barn for your horses. Inside are 3 stories of elegant and smart living space that has been blended with the original structure. Notice the attention to detail - deep silled windows, hardwood floors, high ceilings and original moldings add to the charm of the interior, all renewed with a blending of modern convenience. There are gracefully articulated formal spaces and a newer addition with a volume ceiling, big windows, beautiful hardwood floor and space to accommodate a full sized pool table! Outside, the front and side porches provide grassy views. A two tiered brick patio spills out onto the landscaped grounds. Top it off with updated systems (2 zone heat and 3 zones for A/C) and a convenient location. 8 minutes to the Paoli Train Station. 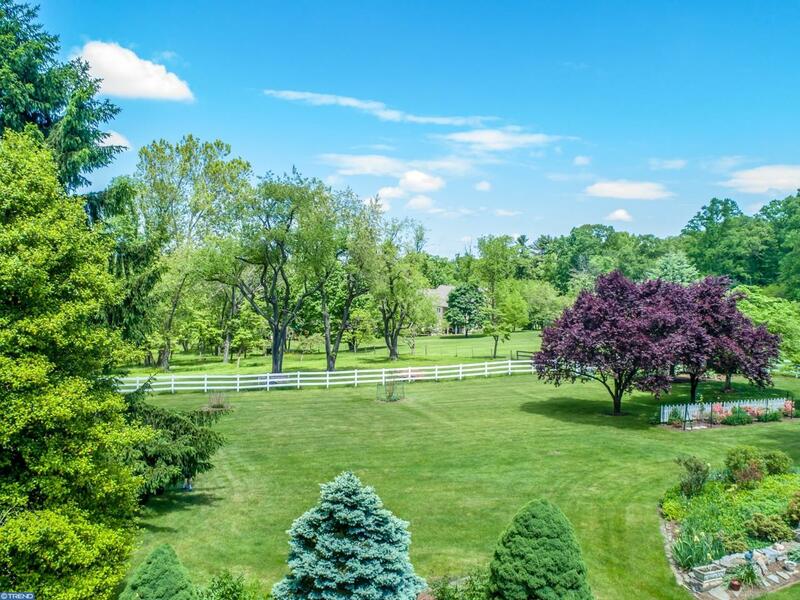 Easy access to Philadelphia, King of Prussia, Great Valley and the charming Malvern borough. Evoking a feeling of well being and permanence, this stately home lives for another century. Begin your story here.